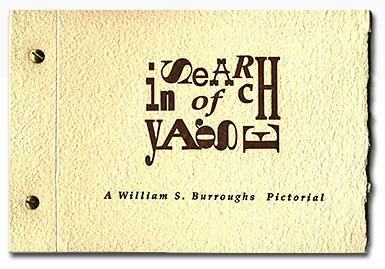 Burroughs traveled to the jungles of South America to experiment with the mind-altering vine, ayahuasca, or yage. He was intrigued by accounts that the plant was used by curanderos to heal, produce visions, and of particular interest to Burroughs, enhance telepathic powers. These photographs, two of which are previously unpublished, were taken by an unknown person who accompanied Burroughs on his expedition through the Amazon. This edition consists of 26 lettered copies. The photographs were reproduced from the original negatives and are the only prints that will be madefrom these negatives.